To produce a Neighbourhood Development Plan. In order to produce a Neighbourhood Development Plan the local community is required to have a body or forum that represents the whole of the area covered by the plan. 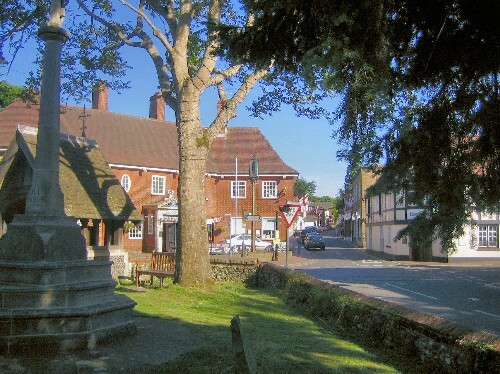 As Bookham does not have such a body the project was initiated by a Start-up group. Some of the key people in the Start-up group were involved with Bookham Vision - the organisation which undertook responsibility for the successful 2008 Bookham Survey, others are members of recognised local groups such as the Bookham Residents Association and people with relevant exxperience and skills necessary to get the project off the ground, as well as representatives from Mole Valley and Surrey County Council. The role of the Start-up group was to create the forum and task force that will produce the Neighbourhood Development Plan. Now that the Forum has been created and is now formalised, the Start-up group will take on the role of Task Force, and the work of producing the NDP will begin. Bookham needed to create the Bookham Vanguard Forum because it does not have an elected Village or Parish Council. The Bookham Vanguard Forum is non-political and seeks to represent everyone in the community. It will oversee and guide the creation of the Neighbourhood Development Plan. The Start-up group set criteria that was carefully prepared using the results from the Bookham Vision Survey, local census data and other publicly available information to create as representative a sample of the Bookham population as possible to make up the Vanguard Forum. You can see here what criteria were set and how the forum members fit the criteria. The Vanguard Forum, now known as the Bookham Neighbourhood Forum will meet every 3 months to discuss proposals which are researched and put forward by the Task Force. The Task Force will be made up of the Start-up Group and people on the Forum who volunteer to do the research, analysis and collation of the information required to put proposals forward to the forum as a whole. If you would like to receive regular updates about the progress of the Bookham Vanguard project please contact us and visit this website for up-to-date news and information.